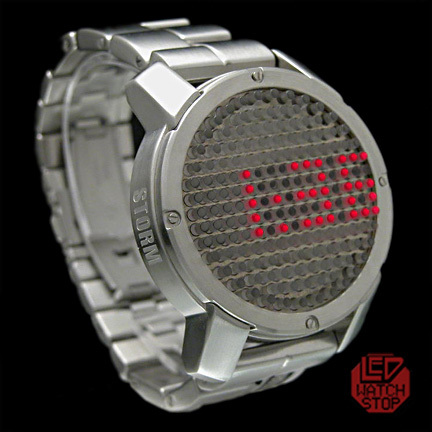 The Storm FAZE Watch is an ultra cool watch with dot matrix LED display behind elongated acrylic pins. Reminiscent of a LIGHT BRIGHT a retro childhood favourite toy. 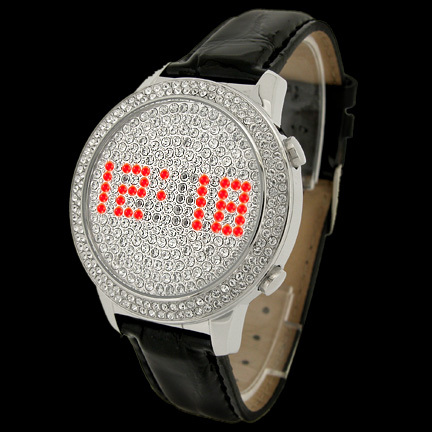 When the button is pushed ....the display glows the pins and is concentrated at the tips.. 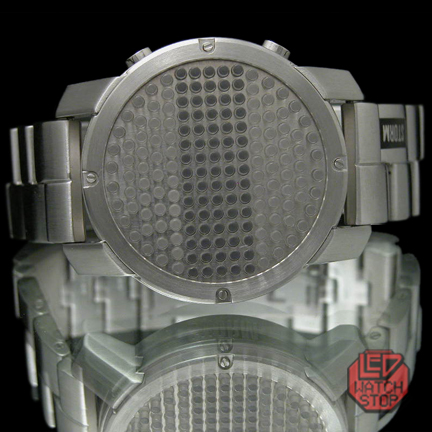 Featuring sturdy surgical grade stainless steel construction with silver finish and reliable double deploy clasp. 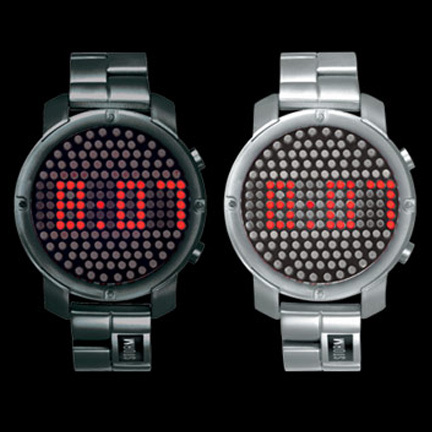 This STORM Watch is guaranteed to create interest and add to your attitude. 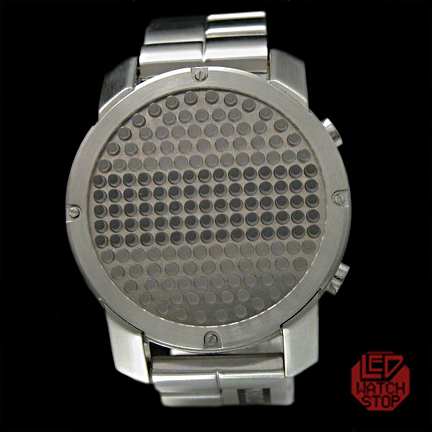 *Available in Slate or Silver Finish. (this listingis for silver as in the top image).